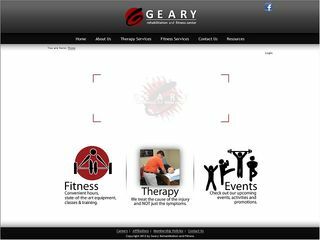 Description: Geary Rehabilitation & Fitness is a business categorized under physical therapists, which is part of the larger category offices of health practitioners nec. Geary Rehabilitation & Fitness is located at the address 104 South Washington Street in Junction City, Kansas 66441-3557. The Owner is Justin Hoover who can be contacted at (785)238-3747.